We looked the other day at some of the leading contenders in the boy's Junior Wimbledon event here. Today, we preview eight of the girls that are likely to progress deep into the tournament and predict the quarter-final line-up. 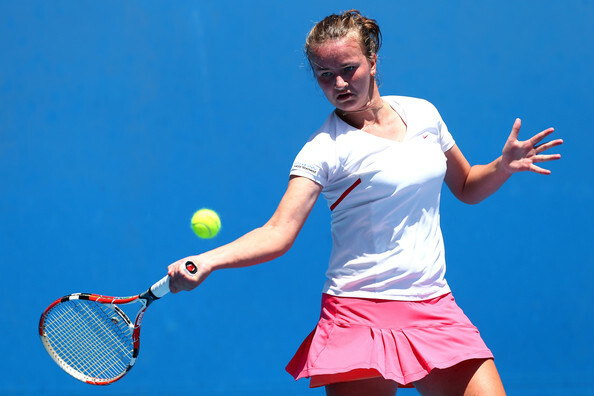 The 16-year old Swiss player is the top ranked junior and has proven unbeatable this year. Having skipped the Australian Open, she won the title at Roland Garros and is currently on a 29-match unbeaten run. She lifted the title in Roehampton this week for the loss of just one set to firmly in preparation for Wimbledon. Given her unbeaten run, she will be a strong favourite to lift the title here. Seeded number one, she proved this week in Roehampton that she can play on this surface and it will take a real effort from any player that hopes to beat her. The Estonian has played most of her tennis on the senior circuit this season, except for the Grand Slams. She reached the semi-final in Australia, losing to Katerina Siniakova and has already lifted two senior titles this year. She reached the semi-final last year at Wimbledon, only being beaten by the eventual champion Genie Bouchard, and will fancy her chances of a good run again. The lack of grass court preparation could hamper her chances, although it was certainly not in evidence as she destroyed Sara Tomic yesterday for the loss of just one game. She is seeded to play Belinda Bencic in the third round in what should be a very competitive match. Katerina Siniakova reached the final of the Australian Open juniors and has already lifted a senior title this year. Grass is not her ideal surface though, as shown by her third round defeat last year against Sabina Sharipova, but the added experience of playing at a higher level will boost her chances. It is likely to be the last year that Siniakova plays in the junior event here and she will be looking for a good showing. She cruised through her opening round match yesterday without too many problems, but may struggle to live up to her third seeding. The American was the top seed last year, but has predominantly focussed on the senior tour this season. A quarter-final defeat last year was slightly disappointing, but she will be hoping for a better run this year in the bottom half of the draw. A run to the semi-final in Roehampton last week was good preparation. Townsend has struggled to live up to her potential on the senior circuit this year, but she will fancy her chances of getting some wins under her belt here. She has a tough first round match, but should she progress through that, the draw opens up nicely for her to go deep into this tournament. 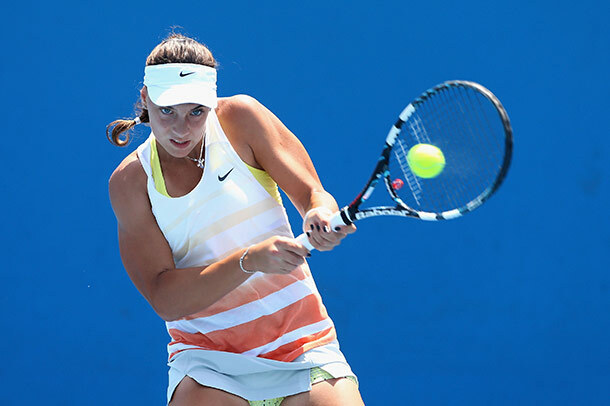 The 15-year old is one of the most promising young players in tennis. She has already won the Australian Open title this season, reached the semi-final in Roland Garros, lifted a senior ITF title and recorded a stunning win over top-50 player, Urszula Radwanska, in the Fed Cup. She reached the quarter-final last year as a 14-year old and will be a strong favourite to go further this time around. She has not played a warm-up tournament on grass, but showed little sign of rust as she won her first round match in straight sets. She has a relatively straight-forward quarter of the draw and will be disappointed if she doesn’t go all the way to the final at least. The fifth ranked Czech is arguably more at home on the clay than on the grass, but still has the talent to have a good run at Wimbledon. An early defeat last year to Genie Bouchard is certainly no disgrace and she reached the quarter-final in Roehampton this week before losing to British player, Harriet Dart. She has a reasonable easy quarter with plenty of qualifiers in her section, but a quarter-final match against Taylor Townsend will be a major challenge for her. It would be no surprise if she reached this stage, but I would not expect her to progress any further. If you are looking for an outsider that has a chance, it could be 16-year old Anhelina Kalinina. She had not played on grass until Halle this season, but won the title there after a series of battling performances. She also played in Roehampton, reaching the third round before losing to Bencic, so she has had plenty of practice ahead of Wimbledon. She has a good draw through to the quarter-finals, where she is likely to play Ana Konjuh. While she certainly will not be favourite for that match, she will still fancy her chances of springing an upset. The Canadian will be looking to follow in the footsteps of her compatriot, Genie Bouchard, who won this title last year. A first round defeat 12 months ago was a disappointment, but she will still have hopes of performing well her this time around. 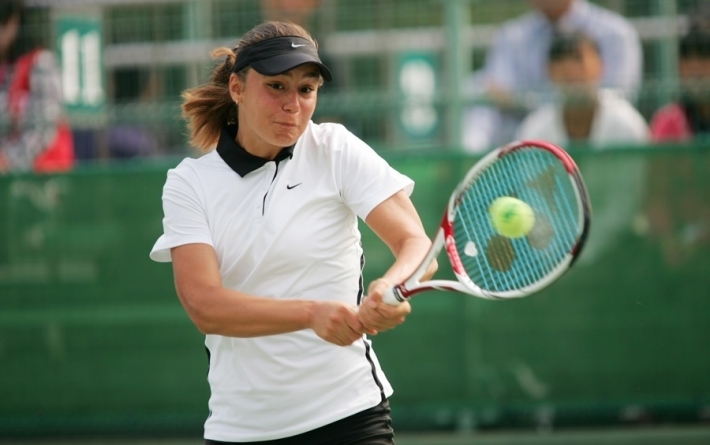 A quarter-final run in Roehampton will have given her confidence ahead of the tournament. If she progresses through to the quarter-final, she would likely play Katerina Siniakova. As mentioned, grass is not the Czech’s favourite surface, and Zhao will feel she has a reasonable chance of causing the upset.